Some people call him the greatest bluesman of all time. I don’t think that’s true, at least not so long as Son House and Skip James are still riding the great greyhound bus in the sky. But coming in closely behind them, Blind Willie McTell holds his own with the best of the rest of ’em. Though it is thought that he took the name ‘Blind Willie’ to piggyback on the popularity of Blind Willie Johnson (to be fair, his name was actually William and he was actually blind, unlike “Sonny Boy Williamson II”), his style owes little to the earlier revenant. Actually, McTell’s resonant 12-string and plaintif tenor voice align him more closely with the heavenly stylings of Washington Phillips, who in turn influenced Blind Willie Johnson. 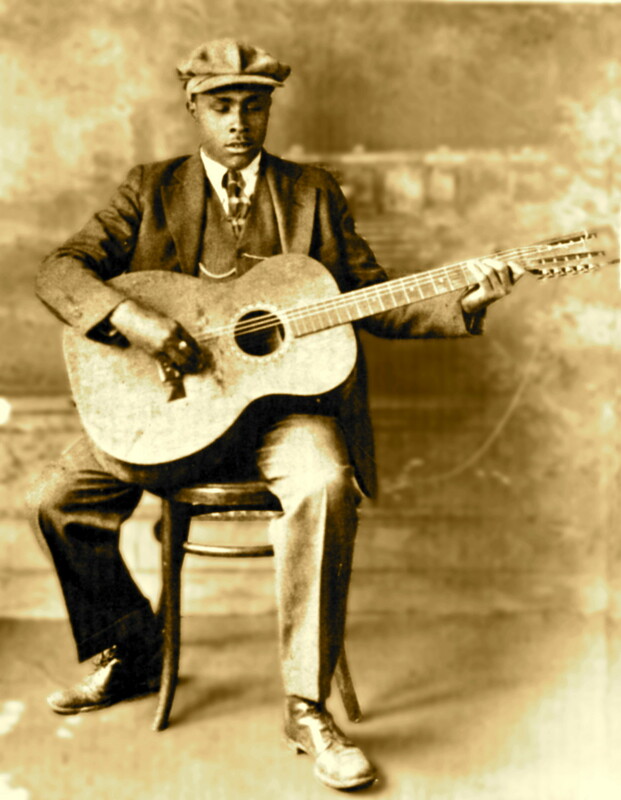 It is not known whether Blind Willie McTell ever heard Washington Phillips. What is known is that Bob Dylan (who actually did steal his name from someone else), knew about Mr. McTell, and revered him so much that Bob wrote a song about him. And while it’s one of Dylan’s better songs of his post 1975 period, it doesn’t even stand up to the worst of Willie’s. Perhaps it’s the pauper’s diction, nasal voice, or predictable chord accents. Really, the only connection I can see between the two is the 12-string guitar. You can leave Bobby Zimmerman to the dogs. This here’s music for god’s jukebox. Willie Samuel McTell was one of the blues’ greatest guitarists, and also one of the finest singers ever to work in blues. 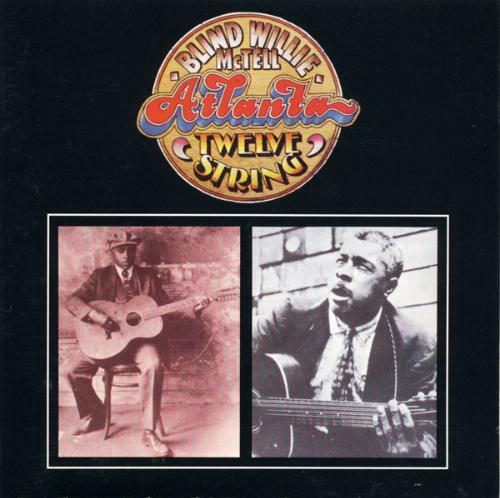 A major figure with a local following in Atlanta from the 1920s onward, he recorded dozens of sides throughout the ’30s under a multitude of names — all the better to juggle “exclusive” relationships with many different record labels at once — including Blind Willie, Blind Sammie, Hot Shot Willie, and Georgia Bill, as a backup musician to Ruth Mary Willis. And those may not have been all of his pseudonyms — we don’t even know what he chose to call himself, although “Blind Willie” was his preferred choice among friends. Much of what we do know about him was learned only years after his death, from family members and acquaintances. His family name was, so far as we know, McTier or McTear, and the origins of the “McTell” name are unclear. What is clear is that he was born into a family filled with musicians — his mother and his father both played guitar, as did one of his uncles, and he was also related to Georgia Tom Dorsey, who later became the Rev. Thomas Dorsey. McTell was born in Thomson, GA, near Augusta, and raised near Statesboro. McTell was probably born blind, although early in his life he could perceive light in one eye. His blindness never became a major impediment, however, and it was said that his sense of hearing and touch were extraordinary. His first instruments were the harmonica and the accordion, but as soon as he was big enough he took up the guitar and showed immediate aptitude on the new instrument. He played a standard six-string acoustic until the mid-’20s, and never entirely abandoned the instrument, but from the beginning of his recording career, he used a 12-string acoustic in the studio almost exclusively. McTell’s technique on the 12-string instrument was unique. Unlike virtually every other bluesman who used one, he relied not on its resonances as a rhythm instrument, but, instead, displayed a nimble, elegant slide and finger-picking style that made it sound like more than one guitar at any given moment. He studied at a number of schools for the blind, in Georgia, New York, and Michigan, during the early ’20s, and probably picked up some formal musical knowledge. He worked medicine shows, carnivals, and other outdoor venues, and was a popular attraction, owing to his sheer dexterity and a nasal singing voice that could sound either pleasant or mournful, and incorporated some of the characteristics normally associated with White hillbilly singers. McTell’s recording career began in late 1927 with two sessions for Victor records, eight sides including “Statesboro Blues.” McTell’s earliest sides were superb examples of storytelling in music, coupled with dazzling guitar work. All of McTell’s music showed extraordinary power, some of it delightfully raucous ragtime, other examples evoking darker, lonelier sides of the blues, all of it displaying astonishingly rich guitar work. McTell worked under a variety of names, and with a multitude of partners, including his one-time wife Ruthy Kate Williams (who recorded with him under the name Ruby Glaze), and also Buddy Moss and Curley Weaver. McTell cut some of his best songs more than once in his career. 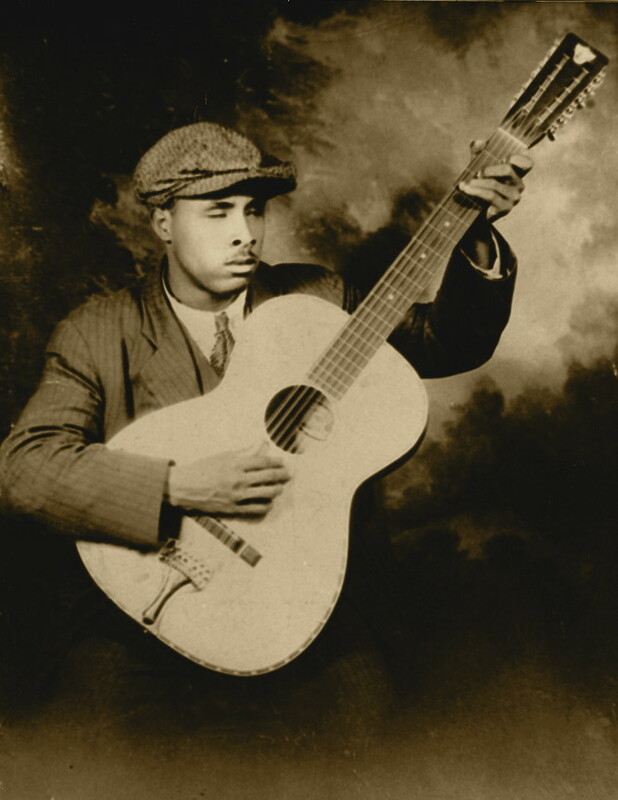 Like many bluesmen, he recorded under different names simultaneously, and was even signed to Columbia and Okeh Records, two companies that ended up merged at the end of the ’30s, at the same time, under two names. His recording career never gave McTell quite as much success as he had hoped, partly due to the fact that some of his best work appeared during the depths of the Depression. He was uniquely popular in Atlanta, where he continued to live and work throughout most of his career, and, in fact, was the only blues guitarist of any note from the city to remain active in the city until well after World War II. McTell was well-known enough that Library of Congress archivist John Lomax felt compelled to record him in 1940, although during the war, like many other acoustic country bluesmen, his recording career came to a halt. Luckily for McTell and generations of listeners after him, however, there was a brief revival of interest in acoustic country-blues after World War II that brought him back into the studio. Amazingly enough, the newly founded Atlantic Records — which was more noted for its recordings of jazz and R&B — took an interest in McTell and cut 15 songs with him in Atlanta during 1949. The one single released from these sessions, however, didn’t sell, and most of those recordings remained unheard for more than 20 years after they were made. A year later, however, he was back in the studio, this time with his longtime partner Curley Weaver, cutting songs for the Regal label. None of these records sold especially well, however, and while McTell kept playing for anyone who would listen, the bitter realities of life had finally overtaken him, and he began drinking on a regular basis. He was rediscovered in 1956, just in time to get one more historic session down on tape. He left music soon after, to become a pastor of a local church, and he died of a brain hemorrhage in 1959, his passing so unnoticed at the time that certain reissues in the ’70s referred to McTell as still being alive in the ’60s. 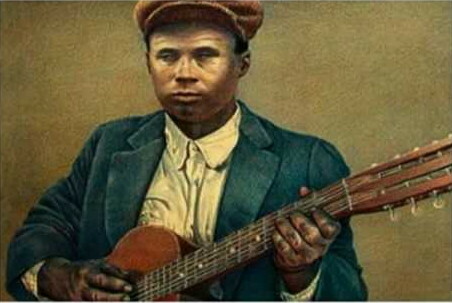 Blind Willie McTell was one of the giants of the blues, as a guitarist and as a singer and recording artist. Hardly any of his work as passed down to us on record is less than first-rate, and this makes most any collection of his music worthwhile. A studious and highly skilled musician whose skills transcended the blues, he was equally adept at ragtime, spirituals, story-songs, hillbilly numbers, and popular tunes, excelling in all of these genres. He could read and write music in braille, which gave him an edge on many of his sighted contemporaries, and was also a brilliant improvisor on the guitar, as is evident from his records. McTell always gave an excellent account of himself, even in his final years of performing and recording. don’t you never dog your woman. This entry was posted in Blues, Roots. Bookmark the permalink. was just reading your wonderful “roots of john fahey” posts – – would there be any way of making these sets available again? in any case, thanks for your time and care.